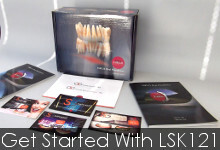 Luke S. Kahng regularly publishes articles in highly respected dental magazines and journals. Porcelain to Titanium: What are the Benefits? Implants the next big trend? Full press: GC Initial IQ Pre-blended Ingots Press to Metal or Zirconia in a One-bake Concept.